Have you ever watched a really great movie or a video and wished you could somehow magically transport yourself to the thrilling concert or the sensational sunset shown on-screen? Well, with 360 degree videos, you can do that, kind of. 360 degree videos put you in the director’s chair where you can have a unique cinematic experience. You can look in any direction your heart desires. While conventional, fixed-frame videos only show you one perspective of the story, with a 360 degree video, you can have a panoramic view on a complete 360 degree angle. This allows you to see not only what’s happening in one frame, but multiple ones. Also termed as immersive or spherical videos, 360 degree videos have gained immense traction in recent years and have gone on to become more than just a unique digital novelty. With everyone from Facebook CEO Mark Zuckerberg to Nicola Mendelsohn hopping aboard the 360 degree video train, 360 degree videos have started trending. Even the hit Netflix show Stranger Things aired an unconventional VR 360 degree view trailer. It is human nature to want to experience something to the fullest and for that experience to be truly unique. This is one of the reasons why this format of video has gained such acclaim and exposure among the online community. It provides a first-person experience of viewing what’s happening on screen and customers love that. Here are a few reasons why you should incorporate the edgy video format in your video marketing campaign. Novelty and uniqueness is what captures the attention and this holds true for video as well. 360 degree videos are a new video format that manages to break through all the clutter and garner attention. Video marketers are tapping into the potential of the ‘newness’ of immersive videos to shine through all the marketing noise. 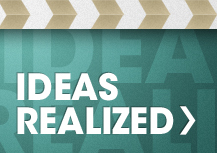 It’s a pretty innovative way of making your video stand out from the rest. Another great thing about 360 degree videos is that because of its unique nature, it leads to better viewer engagement and ultimately more lead conversions. A study done by Google on 360 degree video ads showed that 360 ads acquired a higher click-through rate than regular video ads. 360 degree videos can help capture the very atmosphere of an event; it can help viewers live in the moment. 360 degree videos are great for recording live events, behind the scenes, conferences, and the like. It works great for enhancing the appeal of an event. 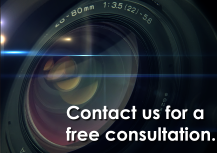 As an award-winning video production company in Los Angeles, CA, we offer a range of corporate video services. 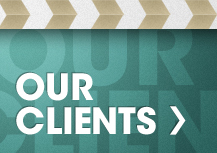 We help clients throughout the process—from designing, planning, to production and even video marketing. 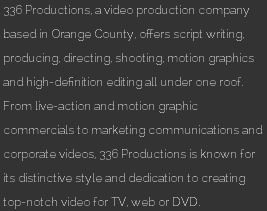 For over 10 years, LA and OC companies, large and small, have reached out to 336 Productions for their brand marketing videos!